Locally owned and operated, by Chris & Debra Van'tHof for over 20 years,located at 42 Mcdowall street, We invite you to come and experience the friendly atmosphere and great service at the The Club Hotel Roma. 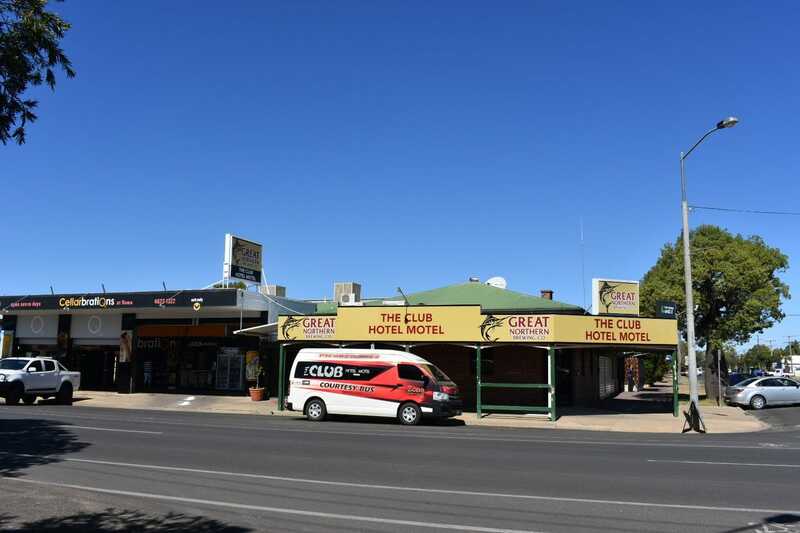 The Club Hotel Roma is situated in the CBD of Roma, only walking distance from shops, cafes and local attractions. Our recently refurbished Bistro can cater for private and large group bookings (up to 200 people) via our two function rooms. With a kids room and an amazing menu, you are sure to have a relaxed and enjoyable night. Take advantage of our accommodation facilities with 25 tastefully furnished motel units to choose, from all with room service available. Want to Party? Then The Zone Nightclub is the place to be seen, with a range of local and international DJ's playing on Friday and Saturday nights. To make it all easier for you, The Club Hotel Roma offers a courtesy bus service, operating until 10pm every night. Call 4622 1322 to arrange a pickup. So what are you waiting for........if your mates aren't at the club hotel, then they're not in town!